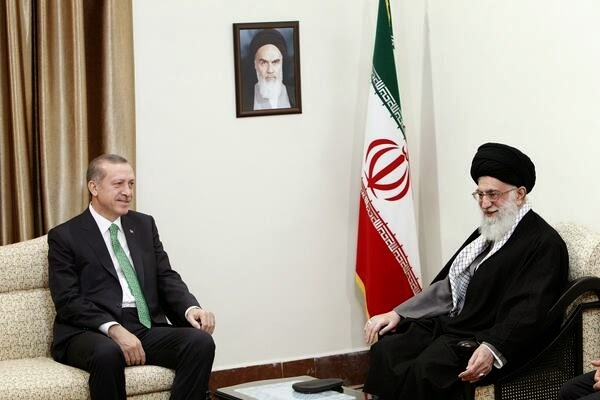 Erdogan meets the Supreme Terrorist responsible for the burning to death of 400 innocent men woman and children in Cinima Rex Abadan. Have you had a nice sleep over the past 35 years? Or the news about Cinema Rex Disaster have just arrived in your tranquillized world? Oh, in this case there will be then plenty of other shattering news you will get in the next 3-4 decades. For instance, there was an 8 years lasting devastating war, which made it possible for Turkey to make a fortune out of its deadly consequences. May I offer you a cup of coffee? Kindly refrain from nonsense and grow-up. Burning to death 400 innocent men women and children in Cinama Rex Abadan by the order of Khameini is not "nonesense". The "nonesense" is coming from the likes of you and the Anon before you. YOU have been selling this stale piece of information for long.And we know what happens when a lie is repeated on and on .because this forum is one among the few that allows character assassination in the name of democracy, i believe you have been abusing that freedom ,and democratic privilege to play with our intelligence. Here are some three questions that will help fix that burst sewage pipe aka your mouth that continues to spew hate, lies,filthy language,obscene stories that is sweet music to the hearts of fools!. -For your information even the devil ,supports any work that promotes his cause.SO could you solve for us this mystery-@-WHAT material or immaterial benefit do the LEADER gain by killing 400 people in cold blood -AN ACT that has the potential to throw the masses in the streets for a countrywide mass action and effectively threaten the establishment. Killing 400 defenseless revelers is a crime against humanity,it is a heinous act that draws the attention of the security council and possible indictment in the Hague.IRAN being a Nation that has a lot of its sons in the diaspora among whom are die hard opposition elements, would not fold their arms and not size that opportunity to capitalize on by drawing the attention of the world community!.Even inside the country among the conservative clerics, it would be an issue that no one would ignore. @ did all these people [the security council, the leaders of the opposition inside the country]decide to HIRE YOU while they bury their heads in the sand?. is it not good for you to stick to your forte-railing on Africans, exposing your racist stupidity-at this age of human history ,waging a lone wolf racial onslaught refusing to learn that the US president has African relatives, and that his respected wife is also African and you never know if they follow our discussions here.Indeed you have no religion neither are you a Darwinist for you at war with Natures creation!. USKOWI on Iran ceased to be an opposition talking shop and today it has a worldwide following ,people wishing to get what is there in the other half of the Iranian political divide. you SIR !,have a big filthy mouth and i dont blame your parents!. i blame the demons in you!!. B.M.A...... If you think that burning to death of 400 men women and children in Cinima Rex Abadan is a "lie" then we know your agenda. I rather speak the truth with a " big filthy mouth" than to speak big filthy lies on behalf of a demonic terrorist regime occupying Iran. Little do you know,but you are the one that is wilfully possessed by those "demons". Good day to "you SIR !"